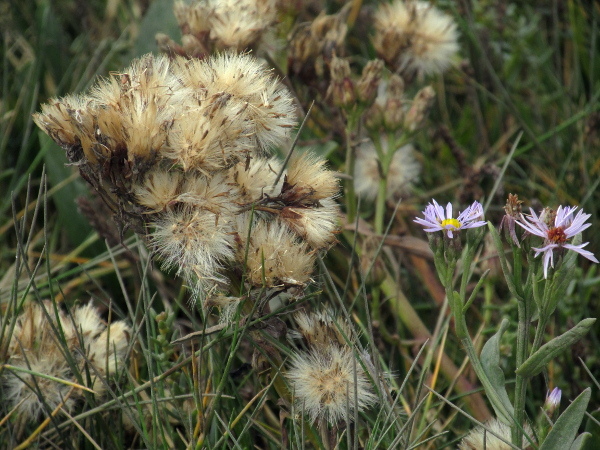 Synonym | Aster tripolium L.
Aster tripolium is a common species of salt marshes; its succulent leaves distinguish it from our other Aster species. 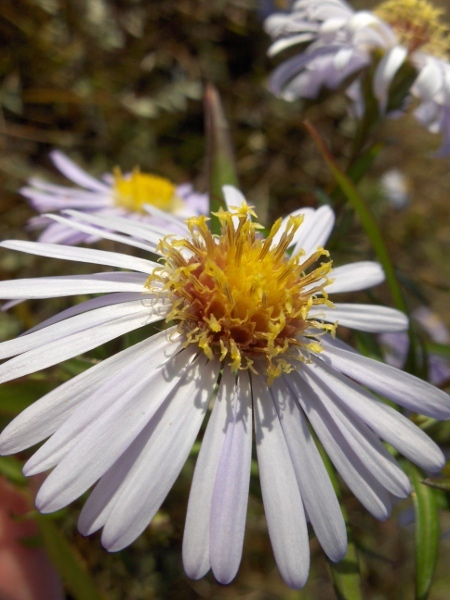 The inflorescences of Aster tripolium typically have long, faintly purple ligules. 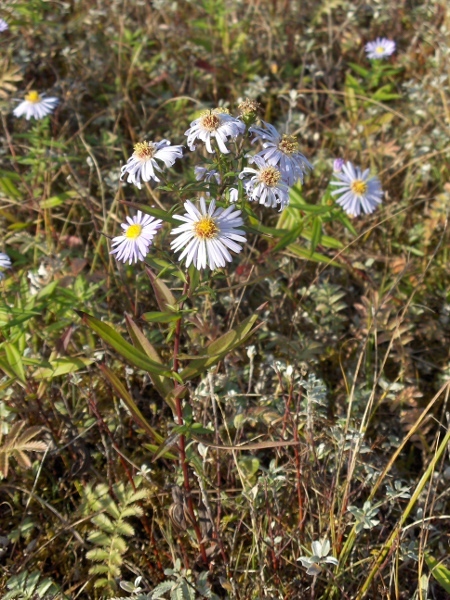 A rayless form, Aster tripolium var. discoideus, occurs on the lower parts of some salt marshes in the southern half of the British Isles. 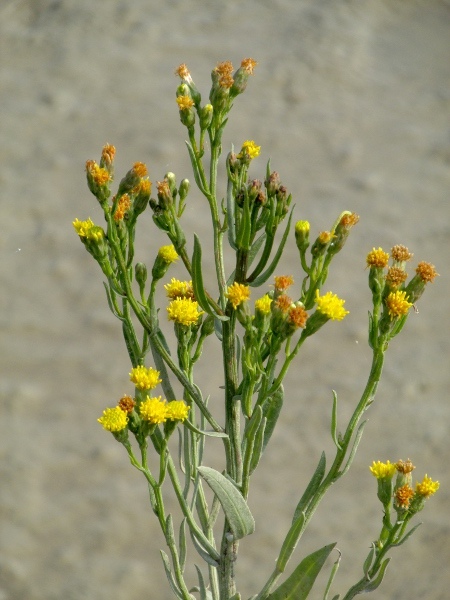 The fruits of Aster tripolium are achenes with a pappus of white or brownish hairs.